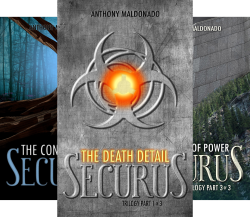 The SECURUS Trilogy is an exciting post-apocalyptic dystopian adventure with medical twists, that introduces real world characters with diversity that are rarely featured in Science Fiction books and movies. Strong women leaders and ethnic diversity make the SECURUS Trilogy socially relevant and an exciting experience for sci-fi fans! After uncovering the lies that have secretly kept Securus’ people as Caelum’s slaves, Kagen Meldon hoped the path to freedom would be simple. That dream becomes shattered when he learns The Controller is coming to Securus. His presence brings with it the threat of annihilation. Kagen knows there is only one path to freedom. But is the cost more than he can bear? 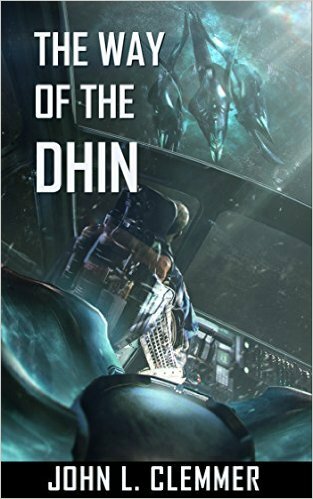 Ever since he uncovered the lies Caelum uses to secretly keep Securus’ people as their slaves, Kagen Meldon has relentlessly searched for a path to freedom…Kagen knows what he must do. If they are ever to be free, Caelum’s enduring power must be severed once and for all…The only question is whether he or the rest of Securus will survive long enough to end the Controller’s deadly game. Hi Anthony! 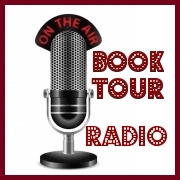 Thank you for giving us the opportunity to discuss your work and the Securus Trilogy on Book Tour Radio. I’ve started reading the series and I’m already hooked, so my first question is, what inspired you to write this captivating series? It started with a simple desire to write. For years I felt like I had it in me to do this, but never really sat down and went at it. One day, I just decided it was time. As far as the story itself, I have always been intrigued with cave systems and felt like this was an opportunity to have the setting come from that type of environment. The dystopian theme just felt right for the setting and gave me an opportunity to throw in some social commentary in there as well. When did you know that the Securus storyline had enough evolution and depth to become a trilogy series? My original desire was to make it a series, though I wasn’t sure how it would unfold. So I decided to write the first book and then decide from there whether or not it felt right to continue into a series or not. As I was getting into the latter half of my first draft, it became clear to me there was much more story to tell. I have heard that you modeled some of the characters based on some real-life influences. Can you share a few of those with us, and whether or not they know they inspired a character in this adventure? There are a few characters inspired by people in my life. One of my goals was to have strong women characters. It just feels more natural and interesting to me that way. So, naturally, one of the lead characters was based by my wife, Bernice. In real life I see her as a “superwoman,” so it felt really easy bringing her character to life. Another one of the characters was heavily influenced on a good friend of mine, although I actually had to tone down how outrageous he can be. Everyone who influenced a character knew while I was writing the first draft. It was interesting and fun to see how they reacted to how their characters turned out. There are plenty of fascinating examples of amazing writers who had unusual careers before their writing redefined them. Harper Lee was a reservation clerk at Eastern Airlines, John Steinbeck worked at a warehouse, Kurt Vonnegut worked at a Saab dealership, George Orwell was a police officer in Burma, John Grisham worked for a plumber. And that’s just a few. Can you share with us, what your “day job” is? I am an Emergency Medicine physician. That probably explains why there are some medical twists involved in the story. When did you discover that there were stories inside you and that writing could become one of your passions? In the back of my mind, there was always an urge to write. 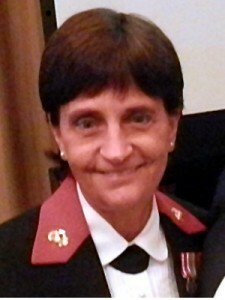 I felt like I had it in me, but because of my chosen career path, it was pushed aside. Even when I initially began writing The Death Detail, I was unsure how this would turn out or if I even would be able to finish. But as the story came out, it just felt so fluid and natural. That’s when everything really clicked for me. Was there anyone who inspired you to write or encouraged you to pursue your writing aspirations? Really, without my wife, I would have never started. She inspires and encourages me so much every day. There were many times I felt completely discouraged, but she was always there to help pick me up. An exciting Trilogy like Securus, could easily become the basis for a movie series. How would your life change if that happened? Would you keep doing your “day job”? It would be so fun if there was ever an opportunity to bring this Trilogy to the screen. I couldn’t even imagine what would happen then. I would take some time off from my day job, but most likely I would continue practicing medicine unless people actually recognized me and made my presence a distraction at the hospital. 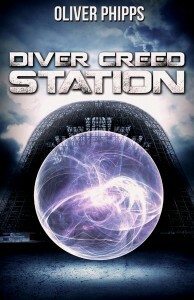 The last remaining survivors of humanity hide from the devastation caused by a deadly biological-weapon in an underground facility known as Securus. Life was routine for Kagen Meldon, with a rigid schedule, and daily work in the infirmary. His only mental escape comes from exploring The Caves, an intricate system isolated from the poisonous atmosphere. In a deep, unmarked section, Kagen and his friends stumble upon a shocking discovery that leads to a deadly encounter with a pair of mysterious shadow-men. 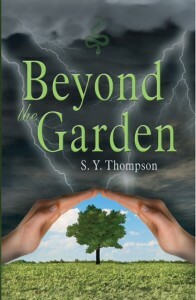 Kagen’s life is thrown into chaos by the tragic event and the ensuing Leadership cover-up. Unable to move on without knowing the truth, Kagen’s search for answers is obstructed by the relentless scrutiny of Leadership as well as a deadly viral outbreak that threatens to overwhelm Securus. The more he learns the more dangerous it becomes, not only for Kagen, but for everyone he cares for. After uncovering the lies used to suppress the people of Securus, Kagen Meldon hoped the path to freedom would be simple. That dream is shattered when he learns The Controller, the very man responsible for their oppression, is coming to Securus. If they are to survive, Securus must hide what they have learned from his scrutiny. Kagen works side by side with the new head of Leadership, Talia Vaden, trying to balance their quest for freedom with the need to appease The Controller. The dissention stirred up by fear of the looming threat combines with an enigmatic new disease afflicting the colony to push them to the edge of catastrophe. Their burden only deepens with the discovery of a new threat within The Caves. With danger coming from the people within to the forest above, nothing is certain. The only thing Securus can count on is its own demise if The Controller is not satisfied. Ever since uncovering the lies used to control Securus’ people, Kagen Meldon has relentlessly searched for a path to freedom. But, just as he was warned, escape is not so easy. Caelum has used the last century to perfect their methods of controlling his people. Every step he takes to escape only leads to another subversive method Caelum uses against them. While Kagen becomes haunted by seemingly unending death and disease surrounding him, the effects of this combined with constant uncertainty deepens a divide within Securus. After seeking to gain Munitus as an ally against Caelum, Kagen is forced into a hopeless contest, pitted against the Controller and weakened by some of his own people. Kagen knows there is only one thing that can be done. If they are ever to be free, Caelum’s enduring power must be severed once and for all. The only question is whether he or the rest of Securus will survive long enough to end the Controller’s deadly game. One of the reasons I was particularly drawn to the series and a reason that I feel so many progressive readers will love the series is that your storyline embraces diversity and there are many positive and empowered female roles. Can you tell us a bit about this element that really makes SECURUS stand out? And can you also share with us why these elements were important for you to build your story on? One thing I always noticed is there’s no one like me in books or in movies. There is a lack of real diversity. Often when characters of different ethnic backgrounds are included, it just feels limited or they’re made to fit into standard stereotypical roles. The main characters in my series are very diverse in their ethnic origins, but intentionally do not behave as ethnic stereotypes. They are just regular people who define themselves by their actions and not by their skin color. The other aspect of the characters that was very important to me was the female roles. It feels much more realistic and interesting for them to be strong and empowered. Even though the story is told from the viewpoint of a male character, the women involved are meant to be every bit as important and impactful to the plot. This book series had some medical twists in it. What are you working on now? Any medical thrillers in the works? My most recent project is actually quite different. It’s more of a sci-fi comedy. But there are a few other stories I have in mind for a medical thriller that would be fun to tackle next. Lastly, I wanted to ask you what advice you have for other writers, who might find themselves in a career that in no way facilitates creative writing, yet they yearn to write and capture a story in their head? 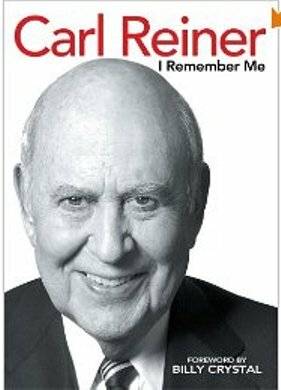 I think the best thing is to not wait for “a better time” to start. Just go for it. Make some time to do a little bit every day and you’ll be amazed at the progress you make. Another helpful thing is finding a way to clear your mind and let the ideas flow. For me, just going out for a run (without headphones/music) always let my mind drift into the story and helps find inspiration. Edition! 6/16 Edits, Additions, TWO CHAPTERS OF ICE GENESIS, THE NEXT IN THE LEAH AND JACK SERIES! Archaeologist Leah Andrews stumbles upon something inexplicable in southwestern New Mexico: inside a dark cavern lies an undiscovered, Native American cliff dwelling abandoned for 800 years. While twisting through one of the narrow underground passageways, Leah’s flashlight illuminates the remains of a violent massacre. 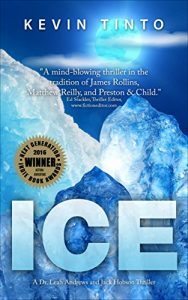 There’s only one person who can get Leah to those mountains in Antarctica: her estranged husband and climbing guide Jack Hobson. At their destination they make a stunning discovery that will change history and science forever. But Leah’s team is far from the only interested party. A FREE Science Fiction Comedy introducing Philip Humphrey Chandler as the socially inept hero who likes beer, coffee and breasts – but not necessarily in that order. Phil is private investigator; he’s got a computer and a comfy chair, and he knows how to use them. He doesn’t get all sweaty chasing the bad guys; not when his fingers can do the work as he sips his coffee and looks forward to a nice cool pint. He doesn’t wrestle them to the ground, with a quick quip and a steely gaze; not when he can sit in his comfy chair and dream about the girl behind the bar; the one with the breasts. Then he meets the ex-wife of a missing crime lord, and everything changes. Suddenly he’s squirting to distant planets, finding dead bodies, dancing with aliens, saving a world from the clutches of the cutest of aliens and, for one brief moment, he becomes the richest man in the universe. In a tale of treachery, danger, poor customer service and bad jokes, Phil is forced to put aside his relaxed ‘let someone else do the work’ attitude, and take up arms against the might of an alien empire (well, it’s a crow bar actually, and the alien is a little girl; a very tough little girl) and somehow find a way to save the day, and Earth’s most valuable commodity, and maybe even his dignity. But where does this story really start? Of course, for Phil, it’s when he first meets the ex-wife of the missing crime lord; it’s typical of him to think it all started with him. For Ben, it would be the misplaced bullet; for Millie, it was, of course, the Joke, and for Sam; well your guess is as good as mine. A laugh a minute science fiction comedy thriller, destined to be one of the decade’s Science Fiction Bestsellers, and it’s also a unique First Contact Novel. 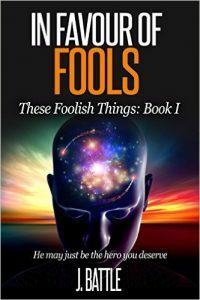 If you like your SF books with alien worlds, strangely named AI’s, really bad jokes and a Narrative Facilitator who would really rather be doing something else, then maybe you should add this to your Science Fiction and Fantasy library of Kindle books. The Way of the Dhin – Extraterrestrial beings, the Dhin, have visited Earth. Extraterrestrial beings, the Dhin, have visited Earth. Communication with the enigmatic aliens proves problematic. The Dhin suddenly depart, without explanation, leaving a few samples of their technology. Wide knowledge of these events would cause chaos. The powerful Coalition Security agency strives to maintain secrecy. As Coalition researchers explore the alien technology, their discoveries turn our understanding of physics inside out. Humanity faces numerous challenges. After multiple economic crises and subsequent collapses, the remaining viable nations joined together as the Coalition. Recent advancements in Artificial Intelligence then led to AI management of most economic and political affairs. Unfortunately, even AI are not perfect, and some volatility and conflict remain. Not everyone agrees the AIs are aligned with our best interests. Humanity now faces the seemingly insurmountable challenge of unlocking the secrets of the alien technology without advice or assistance. Questions remain unanswered. Are the Dhin truly benevolent? Will the Coalition military succeed in weaponizing the powerful technology? Will scientists succeed in understanding this new science and leverage it for the benefit of all? What might the AI governors that manage human affairs decide is the best course of action? Could one man, a test pilot, make a difference? Wars, disease and a massive collapse of civilization have ravaged the human race of a hundred years in the future. Finally in the late twenty- second century, mankind slowly begins to struggle back from the edge of extinction. When a huge “virtual life” facility is restored from a hibernation type of storage and slowly brought back online, a new hope materializes. Fragments of humanity begin to move into the remnants of Denver and the Virtua-Gauge facilities, which offer seven days of virtual leisure for seven days work in this new and growing social structure. Most inhabitants of this new lifestyle begin to hate the real world and work for the seven day period inside the virtual pods. It’s the variety of luxury role play inside the virtual zone that supply’s the incentive needed to work hard for seven days in the real world. In this new social structure a man can work for seven days in a food dispersal unit and earn seven days as a twenty first century software billionaire in the virtual zone. As time goes by and more of the virtual pods are brought back online life appears to be getting better. Rizette and her husband Oray are young technicians that settle into their still new marriage as the virtual facilities expand and thrive. Oray has recently attained the level of a Class A Diver and enjoys his job. The Divers are skilled technicians that perform critical repairs to the complex system, from inside the virtual zone. His title of Diver originates from often working in the secure “lower levels” of the system. These lower level areas are the dividing space between the real world and the world of the virtual zone. When the facility was built, the original designers of the virtual system intentionally placed this buffer zone in the programs to avoid threats from non-living virtual personnel. As Oray becomes more experienced in his elite technical position as a Diver, he is approached by his virtual assistant and forced to make a difficult decision. Oray’s decision triggers events that soon pull him and his wife Rizette into a deadly quest for survival. The stage becomes a massive and complex maze of virtual world sequences as escape or entrapment hang on precious threads of information. System ghosts from the distant past intermingle with mysterious factions that have thrown Oray and Rizette into a cyberspace trap with little hope for survival. Evan was a high school freshman who was always being bullied… until he met the NINJA CATS. 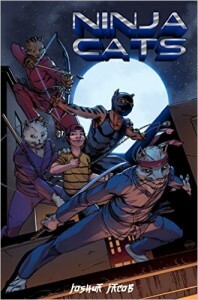 Four feline mutant warriors, the cats begin training Evan in the Ninjutsu arts, teaching him bravery and what it truly means to be a hero. When the evil Dr. Splicer returns and kidnaps the cats, it’s up to Evan to break into the Monsternto Corporation and save them. Can he find the courage to defeat the nefarious Doctor and his pack of mutant mutts? Or will he be undone by his fear of blades, knives, and all things sharp? Technology is changing. 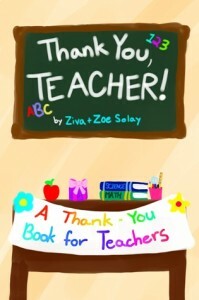 The old methods of teaching children have become outdated and antiquated. Story is effective. Ever since the first cavemen told yarns around a fire, a good story has always been the best way to get a point across and entertain at the same time. At Kindlegarten Publishing, we strive to stay on the cutting edge. We toil to create timeless stories that resonate with modern kids, and help shape the ethos of the next generation. For the past twenty years Clemon Maddox has been working in the Telecommunications and Cable Industry and has gained prominence as an effective Business Leader. His love for writing was first given birth in high school when he wrote his first series of poems. Since that time Clemon has written more than 500 poems. His poetry writing gave birth to commercial jingle writing and writing lyrics to many of his favorite jazz artist’s music to include Ramsey Lewis, Earl Klugh, George Howard, Ronnie Laws, Kim Waters, Peter White, Richard Elliot and Shakatak just to name a few. 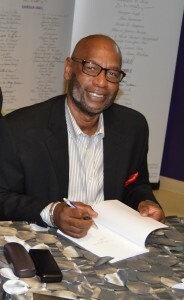 Clemon recently embarked on novel writing in 2012 and has written 13 fiction novels. 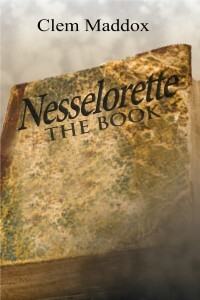 His first published novel is entitled “Nesselorette-The Book. It is a very compelling story that takes the reader on a journey that could only be born from the mind of his creative abilities. Clemon is the type of writer that has a superb command of imagery and uses the allegory style of writing like an artist uses a paint brush. 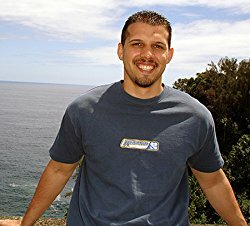 He is able to take fiction characters and develop stories that places the reader’s mind in the middle of the story as if watching a live theatrical play. 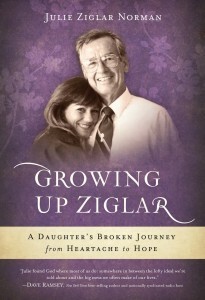 Watch how he will move you to want more from each storyline that he develops. His novels are not the lengthy type of books filled with so much to read that the reader gets bored and lost. Clemon’s books are fun, fascinating and easy to read.